It was Danny’s weekend, no doubt about it. Fastest in EVERY practice and Qualifying, and after 78 breathtaking laps, his Red Bull led from Pole to the chequered flag. And what a race it was. Like all of Daniel Ricciardo’s victories for Red Bull, it wasn’t an easy cruise to the finish. With just under half the race to run Ricciardo reported loss of power, and with a brilliantly mature drive finished the race with only six of his eight gears available. 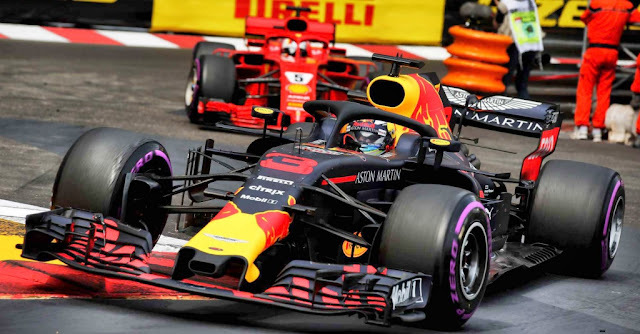 Danny was forced to fend off a hard-charging Sebastien Vettel, and he crossed the line just over seven seconds in front of the Ferrari. Next it’s off to Canada, where the relatively open circuit (compared to Monaco) may leave the way open for Mercedes-Benz and Ferrari to get back on top. 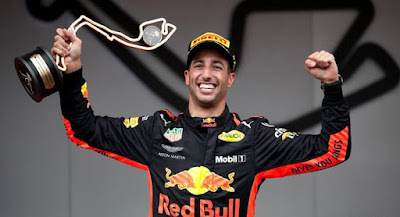 However, with such a smashing win under his belt, I suspect Danny Ricciardo will be chomping at the bit to get there.